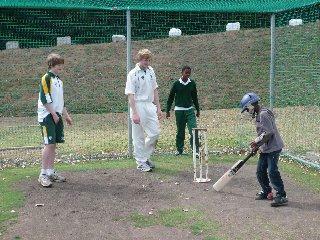 The year started on a high note with the visit, in February, of a cricket team from Malvern College, UK. Antony Clark, formerly Head of St Andrew’s in Grahamstown and now Headmaster of Malvern, has long been a friend of HOKISA. This opened the door for Tom Newman and his team to spend wonderful and fun-filled hours with the HOKISA children, at the nets on the Wynberg Boys’ High cricket ground and also at HOKISA itself. Just those two days led to sustained and enthusiastic cricket practices at HOKISA and on our favourite beach, Kommetjie - no mean feat in a season of soccer madness! 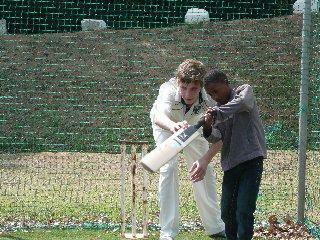 The warmth, encouragement and interest of the Malvern boys are good memories for us all.